You may be reading this article in the privacy of your own home, but somewhere in a National Security Agency control center your every move is being tracked. What time you logged on this morning, the web site you visited, how long you stayed and even what you said in the comments section – all of it – has been cataloged and possibly even flagged for suspicious activity. Several years ago, to the disbelief of many, we discussed the tracking and archiving capabilities of advanced monitoring systems being implemented by the government. We noted that everything you do on a daily basis is being tracked. Domestically, they’re pulling together all the data about virtually every U.S. citizen in the country and assembling that information, building communities that you have relationships with, and knowledge about you; what your activities are; what you’re doing. We’re talking about every digital data bit in existence here. If it crosses an internet pipeline (and that includes your phone calls), it’s being logged. In fact, I would suggest that they’ve assembled on the order of 20 trillion transactions about U.S. citizens with other U.S. citizens. What’s even more frightening is not that they can log and cross reference this information, but that they have the ability to monitor these data flows in real-time. As noted by Liberty Blitzkrieg, it means that all digital communications – that includes phone calls, text messages, emails and even live internet chat – are being actively monitored and captured, and they can be recalled at the push of a button. This isn’t some new and emerging technology; it’s happening right here and now. On the National Security side of the house we have assets. There’s lots of assets at our disposal throughout the intelligence community. And also, not just domestically but overseas. Those assets allow us to gain information and intelligence on things that we can’t use ordinarily in a criminal investigation, but are used for major terrorism investigations or counter-intelligence investigations. I’m talking about all digital communications are… there’s a way to look at digital communications in the past. I can’t go into detail of how that’s done or what’s done. I can tell you that no digital communication is secure. These digital communications will be found out, the conversation will be known. What’s more is that they are not logging this information just for the heck of it. They are using advanced algorithmic systems to cross-reference all of this information in such a way that they can easily connect the dots to determine everything from your purchasing habits to who you hung out with at the local watering hole yesterday evening. And before you say, ‘well at least they don’t know what I was talking about when hanging out with friends last night’, understand that in all likelihood you have a personal monitoring device right in your pocket or purse. Should an interested party have reason to do so, they can easily activate the microphone and camera on your cell phone without your knowledge, so everything you say in confidence during a private conversation can be listened to by a third-party without your knowledge. This covert listening technology has been available to the FBI and other agencies for at least a decade. Couple this with the massive ramp up in the militarization of domestic police forces across the United States, and the only answer that makes sense is that elements within the U.S. government are pursuing a strategy that aims to completely lock this country down and move it from a Republic in which an individual is free to do as they please without interference from the State, to a tyrannical regime where our every move and conversation is monitored to ensure our actions are not subversive to the control infrastructure. In due course this fairly passive surveillance may well be utilized to identify “domestic terrorists” as broadly defined by the Patriot Act. 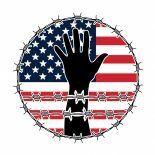 Once an individual or group has been marked as extremist, the next order of business will be to detain them “legally” under the National Defense Authorization Act, which allows the government to seize an American citizen and hold them indefinitely without charge or trial. Of course, they’d never do such a thing and something like that would require massive prison camps to be a viable strategy. And we all know those don’t exist. They’re also not stocking up billions of rounds of ammunition. This entry was posted on May 9, 2013 by conspiracyanalyst in Big Brother, New World Order, Police State, Science & Technology, Society, Surveillance, US News and tagged domestic spying, science, surveillance, surveillance tool, technology.